The original notes included with the album can be downloaded as a PDF. Where Meelkop keeps the secrets of his locations and his processes very much to himself, the long essay accompanying John Grzinich’s Intimations goes into a little (though not much) detail about how some of the source recordings of a grand piano were recorded in an unheated and unlit chapel. But it’s a long way from the raw recordings of attackless piano clusters, birdsong and footsteps to the dense, rich tapestry of sound that Grzinich weaves from them. Like his friend and occasional collaborators Seth Nehil and Michael Northam, Grzinich works slowly, building a labyrinth so irresistibly beautiful (the end of “Kinetic Sense”) we walk inside (“Sinking Tides”) without a second thought. “Lying in complete darkness with the locus of a stereo sound field positioned in the direct center of the head, the music sinks in deeply to saturate the senses,” he writes. “In time the body settles into a stasis somewhere between being awake and asleep. 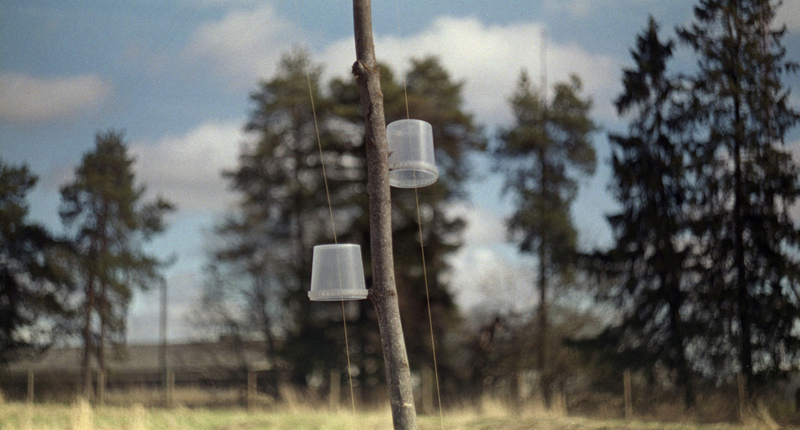 Hearing takes over in its totality as touch, taste smell and sight manifest through a complete ‘listening’ body. A conscious being, immobilized in a quantum reality, is left without doubt as to the singular inseparable relation of time and space.” It’s the kind of writing that will have the Ben Watsons of this world reaching for their well-thumbed copies of Adorno, but if you ain’t tried it, don’t knock it. Whether or not you consider such so-called deep listening as some trippy, hippy cop-out, the fact remains that the only way to engage with music such as this, not to mention much latter-day sound art and electro acoustic improvisation, is by getting inside the sound, either by clamping a set of headphones on (a shame in this case, as Grzinich’s sounds need space to breathe) or by finding a time and place where the sensory stimuli of the rest of the world can be filtered out as far as possible. 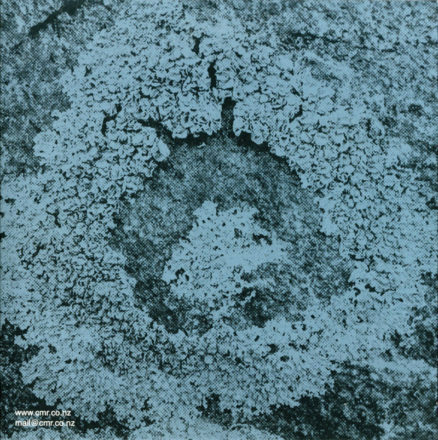 If approached in the wrong frame of mind, the slow, shifting drones of “Sun in hand, stone in water” would likely as not come over as mere soporific ambient fluff, but pay attention and you’ll find they reveal a sense of timing and structure as impressive and moving as Eliane Radigue’s. Close to a decade ago, two emerging sound artists living in Texas thought it clever to compress their names into unpronounceable monikers. Hence, we now have mnortham (Michael Northam) and jgrzinich (John Grzinich). While the meanings of such monikers may no longer be relevant, they’re permanent fixtures for both artists, like faded tattoos. Throughout his career, Grzinich has played second fiddle to a handful of acousmatically minded composers, including Northam, Seth Nehil and Rick Reed. ‘Intimations’ is his debut recording despite a wealth of those collaborations. This album began as a series of recordings for piano, with Grzinich quieting all of the attack from whatever he was performing and stretching into sustained drone undulations. The incessant chorus of cicadas and the calm lapping of the Aegean Sea interject distinct environmental overtones amid the ephemeral and amorphous flutter of Grzinich’s heavily processed tonalities. ‘Intimations’ sleevenotes flip back and forth between a philosophical cry to reorder the nature of perception and a personal exposition of the construction of this music. Where the former is tentative in its questions and answers, the latter is poetic in its sombre, solitary mood, more in keeping with the spirit of the music to be found here. This is among the top most mind numbingly ethereal recordings I have ever heard in my life, ranking high up there with Nurse With Wound’s ‘Soliloquy for Lilith’. 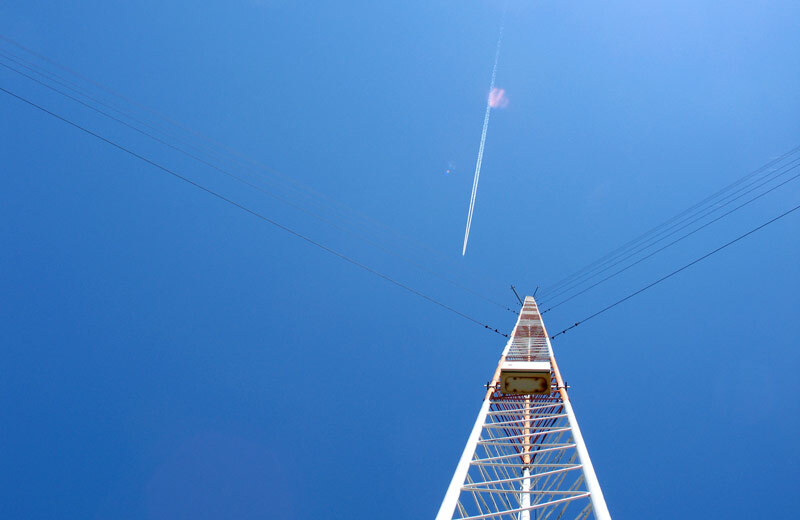 The ambient drone is something born out of hyperventilation and cascading emptiness. 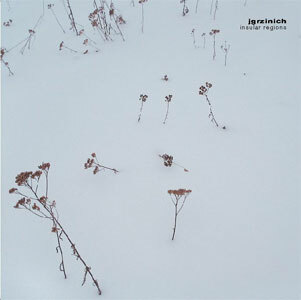 Jgrzinich’s Intimations are personal dark entries into the wondrous crossing between vapory industrial sound and delicate field recordings with experimental piano. 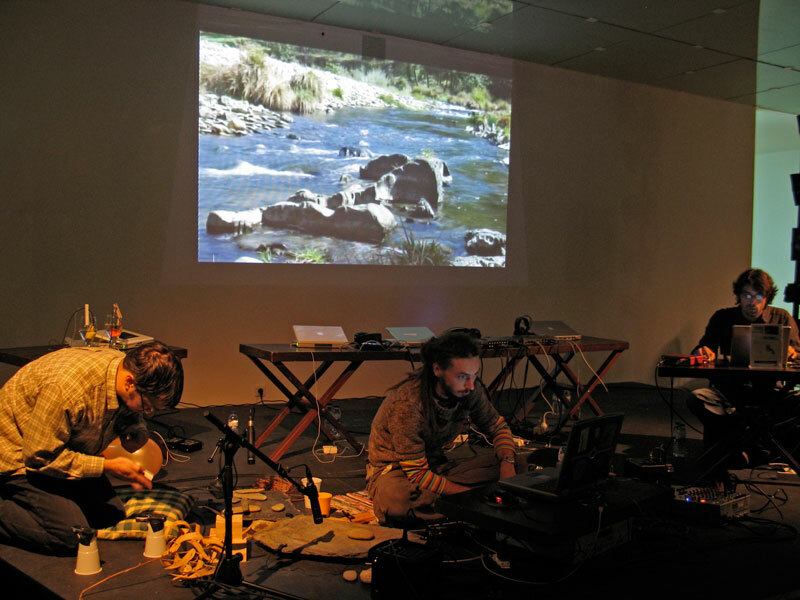 His past work has included duo recordings with peer acousticians Seth Nehil and MNortham. The hushed ambience of these sounds is actually quite piercing, with just a paranormal presence, only a permeable sense of realism, providing a textural aura –Mute crackle, wispy crunch, still crumble. The track “Sun in Hand, Stone in Water” has a menacing circular tone that curls like chronic vertigo. Oblique mist that snakes as the disc closes with an organic leak of water that sounds as if it is falling atop a glass piano, causing a fountain. Multimedia artist John Grzinich has a remarkable series of releases under his belt in collaboration with mnortham, Seth Nehil (who indeed helps with some recordings on one track of this cd) and the Frequency Curtain trio, but oddly enough this is his first solo album. 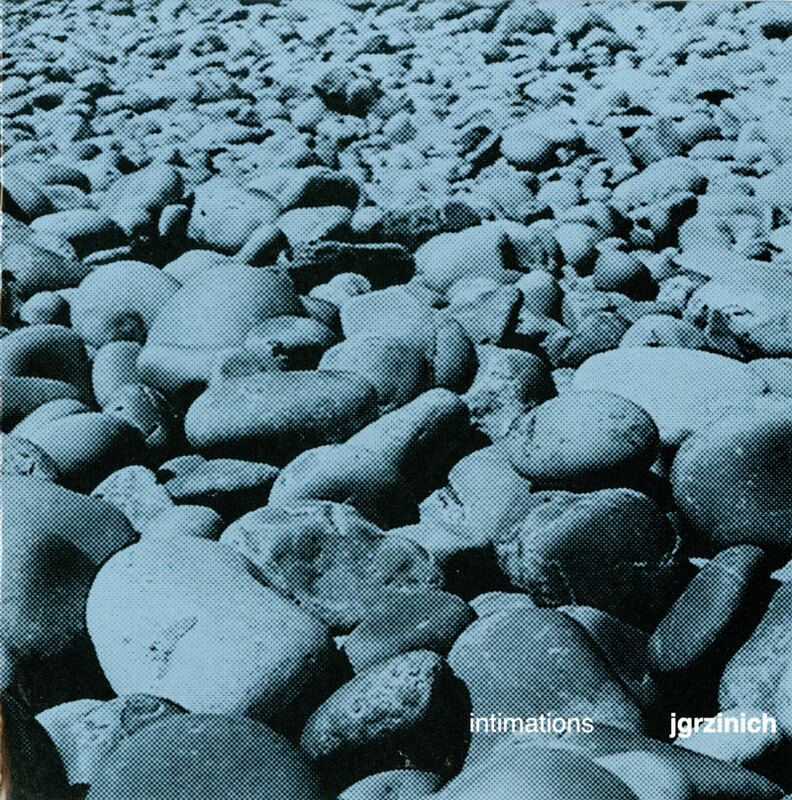 Co-released by CMR (New Zealand) and Maaheli (USA/Estonia, where Grzinich currently lives and works), “Intimations” immediately stands out as one of the best 2004 releases. Grzinich reaches a synthesis of field recordings and electronics which is, simply put, trascendental beauty. This kind of delicate, yet extremely powerful “acoustic ecology” reminded me of Lionel Marchetti’s “Portrait d’un glacier” – textured organic drones created with a perfect merging of concrete sounds (running water, cicadas, blowing branches…) and electronic processings. The mystical intensity of “Sun in hand, stone in water”, based on resonating grand piano clusters, also brinds to mind Osso Exotico’s equally moving “Church organ works”. Grzinich’s writings in the inner sheet also offer interesting insights and theoretical reflections about sound, composition and listening experience. A truly awesome release.